Writers, how did you get started writing culinary mysteries? Can you point to a certain influence? Sheila Connolly: Everyone eats, right? So food--both making and consuming--is a common thread that links us all. 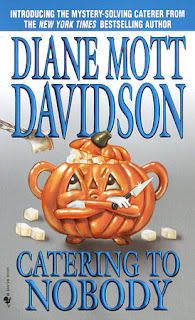 Diane Mott Davidson was one of the first cozy mystery writers I ever read, and when I went to a signing of hers, rather than her book I asked her to autograph one of her recipes. I watched Julia Child give a cooking demonstration in San Francisco, and I dedicated a book to Alice Waters. I've been a foodie since before the term was invented! Then it hit me: Nero Wolfe! The main character in Rex Stout's series who was more interested the the menu for his next exquisite meal than in solving the crime at hand. 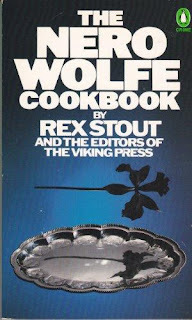 I bought the Nero Wolfe Cookbook (which Stout is said to have supervised carefully so it remains true to the series) when it was released, and I have used it regularly for decades. Oddly enough, many of the main characters that I've written don't cook, or no more than enough to keep themselves alive, but there's almost always a friend or sidekick who cooks. Denise Swanson: Not all of my main characters cook, but they all like to eat. In my Scumble River series, Skye has learned to cook, in my Devereaux's Dime Store series, Dev has no interest in learning, But in my new Chef-to-Go series Dani Sloan has always loved puttering around the kitchen and finally gets to fulfill her dream of becoming a chef. 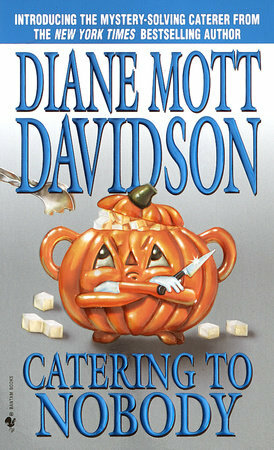 I'm betting nearly all mystery writers who write culinary cozies were influenced by Diane Mott Davidson. I LOVE her books and her recipes. But I was really influenced to write a culinary mystery series by all the television cooking programs. I watch Hell's Kitchen, Iron Chef, Chopped, Top Chef, all the baking shows, and, yes, even the America's Worst Cooks. I'd been writing unsold mysteries for years when I shifted gears to write my first published book, Books, Crooks and Counselors: How to Write Accurately About Criminal Law and Courtroom Procedure. After that, I didn't know what was next, but in my heart I was still a mystery writer. The culinary mystery had begun to emerge--including books by some of my friends--and I devoured them! We'd also just taken a month-long trip to France, which completely changed our relationship to eating and cooking. Krista, Daryl, and Peg were the fairy godmothers of my first published mystery, Death al Dente, reviewing the proposal and helping me find an agent and editor. I, too, was inspired by Diane Mott Davidson's Goldie series, not just for the food, but because she recognized that the cozy could be about something serious. She incorporated social justice issues into the mystery. 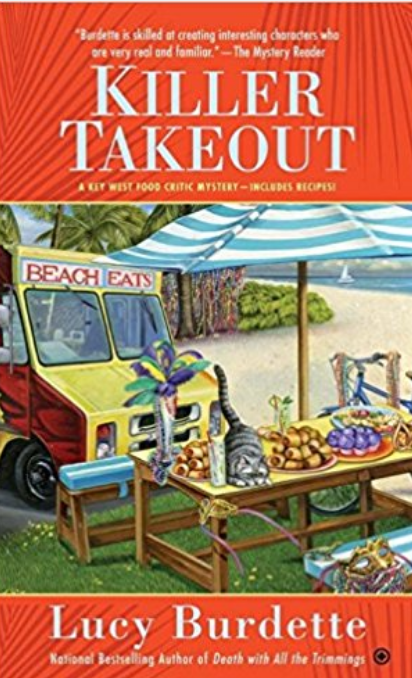 Later, I discovered Cleo's Coffeehouse Mysteries and saw that she did something similar, inspiring me to weave issues related to homelessness, domestic abuse, and immigration into my Spice Shop series, along with the food and fun. The cozy really can do it all! Linda Wiken: In case you hadn't heard, and I'm happy to share this information whenever I talk about my Dinner Club Mysteries, my character JJ Tanner and I share one very huge trait. We both love cookbooks, and magazines, especially the one with color photos. Now, if that cookbook features cooking from another country along with information on the setting and culinary culture, I'm doubly in. That's what sparked my interest in writing a cozy culinary series. I wasn't, and still am not, a great cook. But I love reading about something new and especially, combinations of different tastes. As does, JJ. Who knows, perhaps one day we'll both shine in the kitchen. My inspirations have been the many delicious cozy series and, like Denise, the food programs on TV. I subscribe to the Food Network and spend a portion of my daily viewing time enjoying the shows. Cooks vs Cons is a favorite. 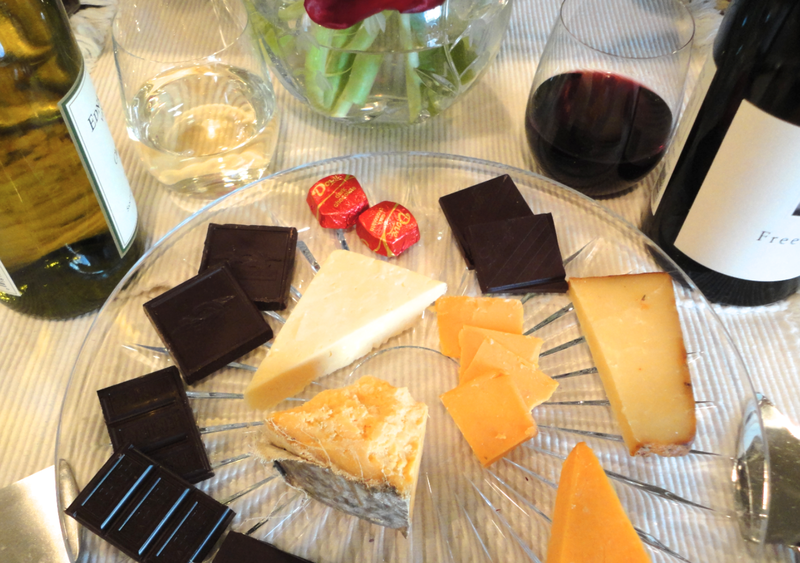 And, don't forget those magazines -- Food and Wine, Taste of Italia, and Bon Appetit to name a few. Daryl Wood Gerber: The foodie genre sort of picked me. My first attempt at writing a mystery was a Nancy Drew mystery, way back when. That was when I was a girl and it has since disappeared. Go figure! LOL Mom was quite discerning in regards to my baby book content. When I really applied myself, I cranked out a few standalone mysteries, but the agent who liked my work said she couldn’t sell “those.” She needed something with more of a "hook"—a series. I put together a number of proposals for her, but those didn’t satisfy her, either. Then Berkley Publishing approached her with a concept for a cheese shop mystery. She asked if I wanted to audition to write it. I'd catered. I'd run restaurants. I was a cook. I loved cheese--the basics. Sure! So I auditioned and got the job. That’s when I turned to writing cozy mysteries, writing The Cheese Shop Mysteries as Avery Aames. I immersed myself in the world of cheese and found that I wrote about cheese and food well. And so I continue to write other food themed mysteries: the Cookbook Nook Mysteries and the French Bistro Mysteries. By the way, to write about French food, I had to do a lot of TASTY research. I'm a better cook because of it. Krista Davis: Hmm, which came first? The food or the mystery? Food was a big deal in my family. My parents were immigrants and I have noticed that even while they are assimilating and trying out hot dogs and apple pie, most immigrants seek out the dishes they remember from home. Anyone recall the moussaka scene in the lunchroom in My Big Fat Greek Wedding? While I was chowing down on my mom's delicious cooking, I was addicted to mysteries. So when the idea for the Domestic Diva Mysteries arose, it seemed like a natural to me. What could be better than a mystery with food? I have to say that writing culinary mysteries and Mystery Lovers' Kitchen have made me a much better cook. You wouldn't believe how fast you run out of your go-to and family recipes when you have to post one every week! Like Denise, I love watching cooking shows. My mom was devoted to Julia Child, so I began watching them long before there were channels devoted solely to food. But having to come up with new recipes all the time for books and Mystery Lovers Kitchen has made me even more aware of food. I think I might be a little bit too interested in people's favorite recipes and delicious meals that I have when eating out. Cleo Coyle: Krista, like you, I grew up in a family with strong food traditions, and I can also relate to My Big Fat Greek Wedding (Italian-style)! As for the link between food and fiction, it really began for me back in the early 1980s with the late, great author and screenwriter Nora Ephron. 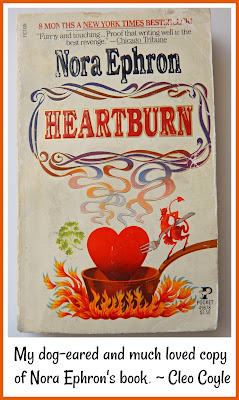 When I read Ms. Ephron's novel Heartburn, I loved that she included recipes and food talk as part of her storytelling. Learning from Ms. Ephron, I try to do the same with my Coffeehouse Mysteries, which I write with my husband, using foods, drinks, and recipes to explore and express character, setting, and story. 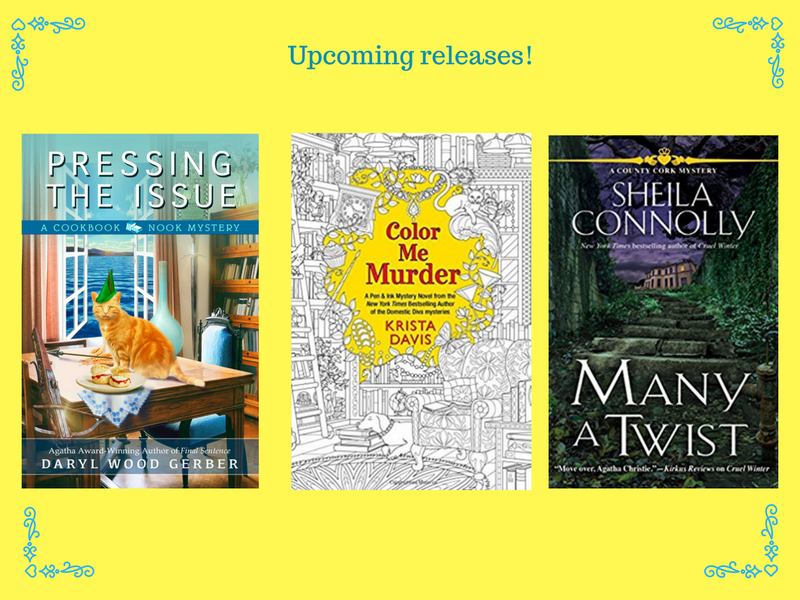 We have a fabulous giveaway to go with today's post--copies of Daryl's upcoming release PRESSING THE ISSUE (Feb 20, might take a week or so to get this), Krista's upcoming COLOR ME MURDER, and Sheila's latest release, MANY A TWIST. 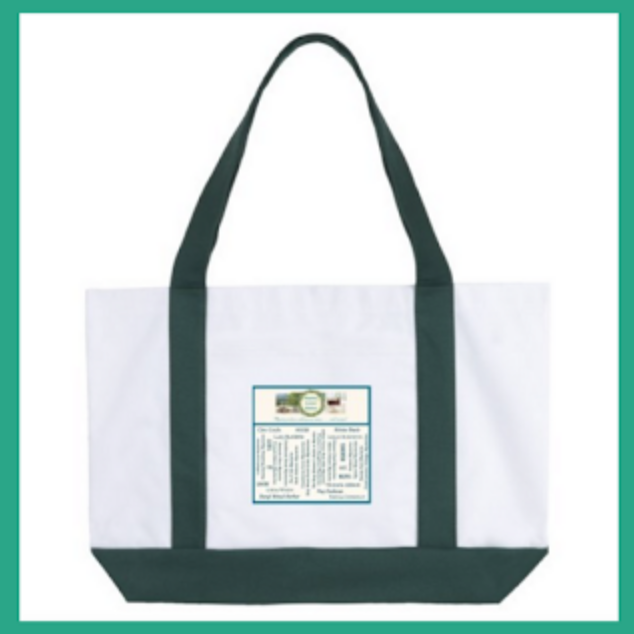 Plus an MLK tote bag! Leave a comment about how you got started reading foodie mysteries to be entered in the drawing...the winner will be announced on Friday. I am a big fan of food and books. I often sit and read my cookbooks but then one day I saw one of the goodie mysteries as a freebie. I was hooked. More fun to read than my cookbooks. I got started with Goldy! I remember the first time I made something from her book, cookies. Oh, me too! Chocolate cookies. Mine turned out like hockey pucks, but I know that was my fault, not hers! 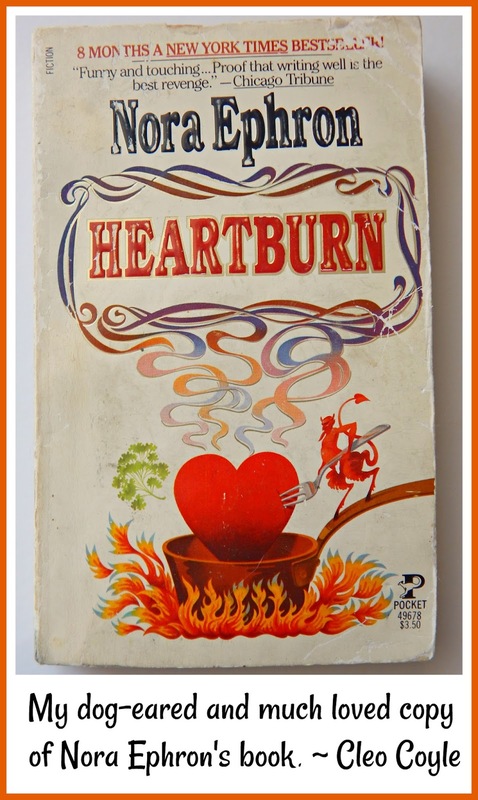 Our own Peg Cochran wrote the gourmet de-lite series, and Denise Swanson's new series is also calorie conscious! I bet a lot of us read Diane Mott Davidson's books way back. I remember reading Catering to Nobody and realizing that there were recipes in the book. I was amazed! What a good idea, I thought. I liked Goldy very much and the Colorado setting. I also remember reading Cleo's first coffeehouse mystery. I'm a coffee lover and it made me want to drink coffee every minute. I've told people that - be prepared, I'll say, you'll crave coffee. Enjoyed hearing about the influences for all of you! I actually got my start with Virginia Rich - pretty much the originator of the culinary mystery genre. I found her first two books at my local used bookshop and it was nonstop from there. I did enjoy Dianne Mott Davidson. I think I vaguely remember seeing that movie about the great chefs when I was young. Of course I read Nancy Drew and I love Nero Wolfe. moodiesmum(at)yahoo(dot)com. Sounds like we should invite Diane Mott Davidson to be a guest! 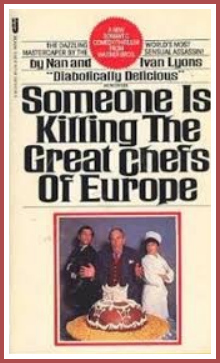 Cleo, I have a copy of Someone is Killing the Great Chefs of Europe. Anyone else remember Graham Kerr's television show? He was fun to watch, but I couldn't imagine cooking any of his recipes. But my family always revered chefs. My grandmother (who never cooked) worked with Craig Claiborne and Dionne Lucas in the 1950s, through her job at Lipton Tea, and I think I still have the cookbooks. Sheila, as a young wife in the early 70's I watched Graham Kerr as the Galloping Gourmet, and I still have some of his loopy recipes, written down on 3X5 cards! One was for a Danish dessert called Hangop, which is literally a kind of yogurt hung in a cloth over a basin to drain. He was really fun, and absolutely batty. Renita and Chris--not everyone loves to cook, but we love you here as long as you love to read LOL! My first "foodie" mystery was the first Rex Stout I ever read, and I can't remember which one it was. They ALL have food in them, and I, too, still use his cookbook. My girl crush is Ina Garten. I love her and everything about her. In fact, our new furniture has a couple of pieces very similar to hers and my old kitchen looked like the one in her house. Put that together with Lucy's series and it was a match made in heaven. Just as I need help with decorating, I need help cooking. My palate is lacking but give me one of Ina's recipes and viola. And now with our newly renovated kitchen I should be off and running but my new stove scares me! That's why I need a vacation. Seven more days and we're off to Key West. Who knows who I might bump into. Oh, Ina -- yes! Girl crush, indeed. I just love the way she *talks* about cooking and entertaining, and how she always includes sweet comments about Jeffrey! Like all of you mentioned, food and eating is a big part of our family's lives. I have a cook book obsession and read them like any other book. I discovered culinary cozy mysteries when I purchased an reader and upped my reading game. I first began my journey with Joanne Fluke's Hannah Swensan series, Diane Mott Davidson, Cleo Coyle's Coffeehouse mysteries and I've never looked back. Now I have read too many to name and have completed complete series. Combining food and mystery has been a game changer for me and I thoroughly enjoy them.